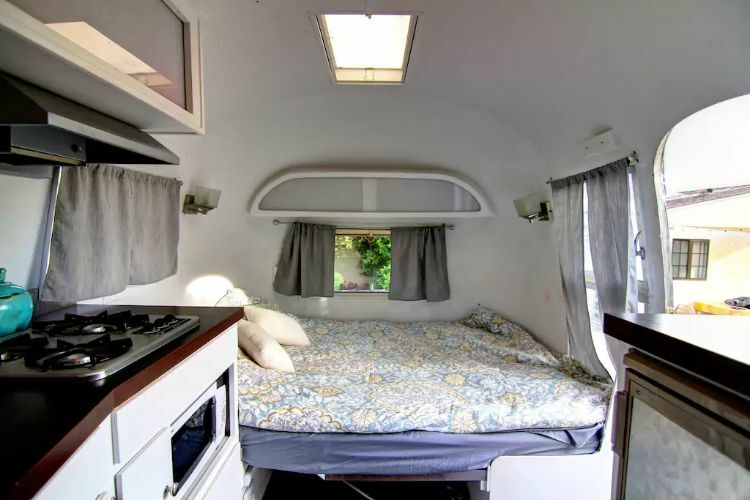 Airstreams are some of the most aesthetically pleasing RVs on the market. They are sleek, are sumptuously curved, and will never go out of style. The Airstream's metallic shell is the perfect container for any style of interior design you can think of, but it lends itself especially well to clean minimalism. 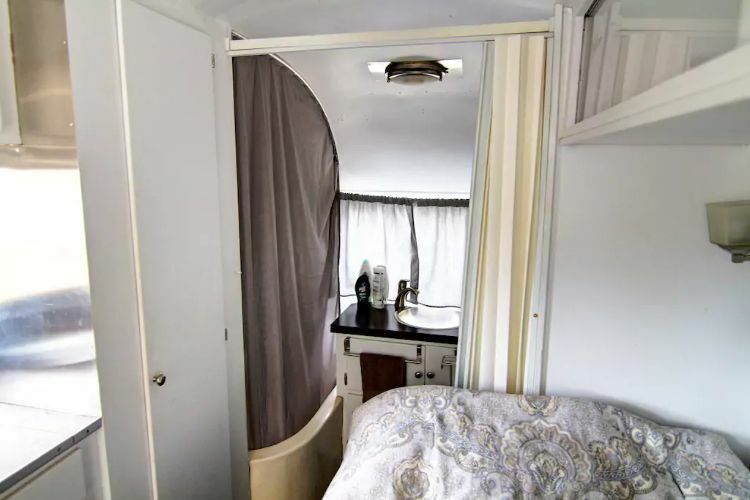 This freshly renovated 1963 Airstream, in particular, is delightful. 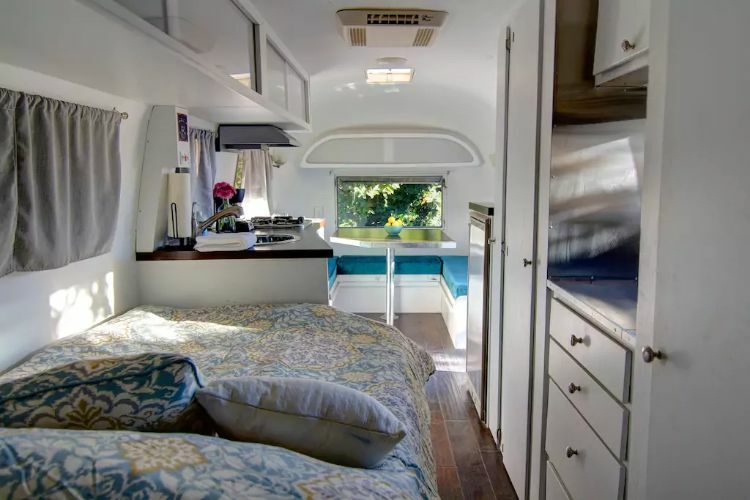 With smooth white walls, warm wood floors and cool pops of blue, this Airstream has an interior that is sure to impress. Located in Los Angeles, the bright and sunlit interior goes great with the vibrant city beyond its door. 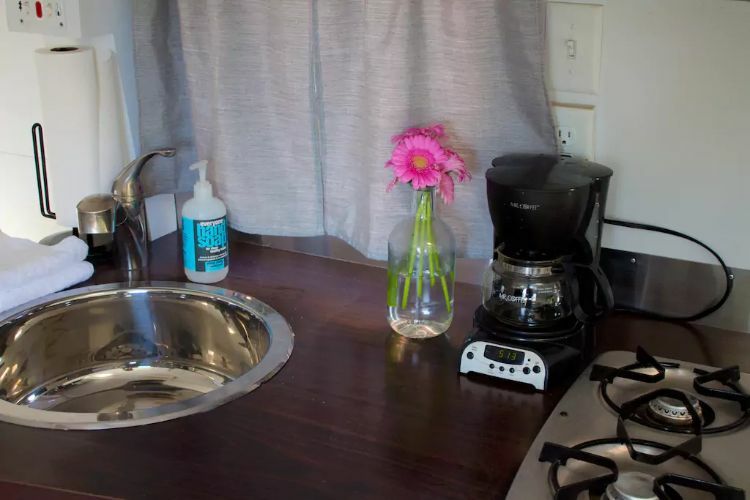 Next time you're in the area, book this RV through Airbnb and see for yourself just how perfect it is. 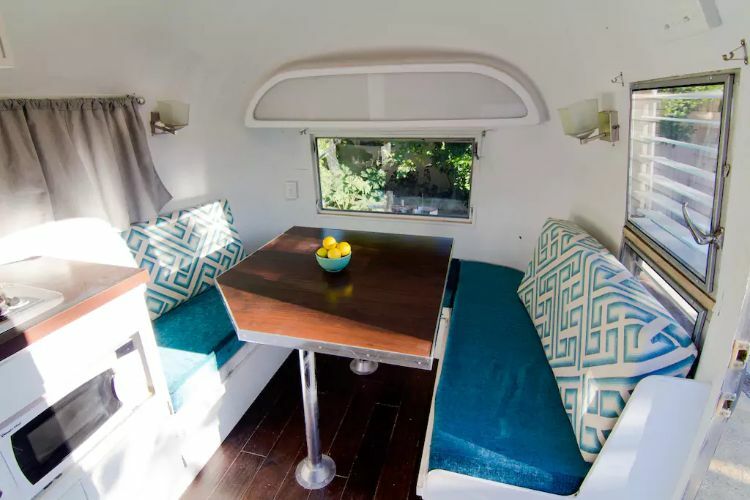 This Airstream can comfortably accommodate three people. The layout remains open, and each space flows into the next. The full kitchen is a great place to cook all of your favorite meals just as you would at home. Don't feel like cooking? Visit any of the nearby restaurants for some food to go and enjoy it at this cozy dinette. We love how, when you look out the window, all you can see is green. Wondering where the other bed is? Just fold down the table, and you have another large and super comfortable sleeping area. The bathroom is cozy but is still functional and not to mention adorable. 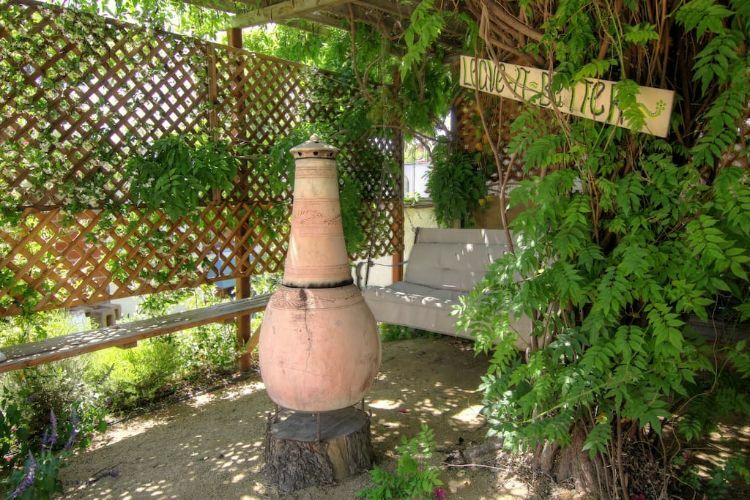 There is even a beautiful nook under the trees perfect for gathering around a fire with friends. 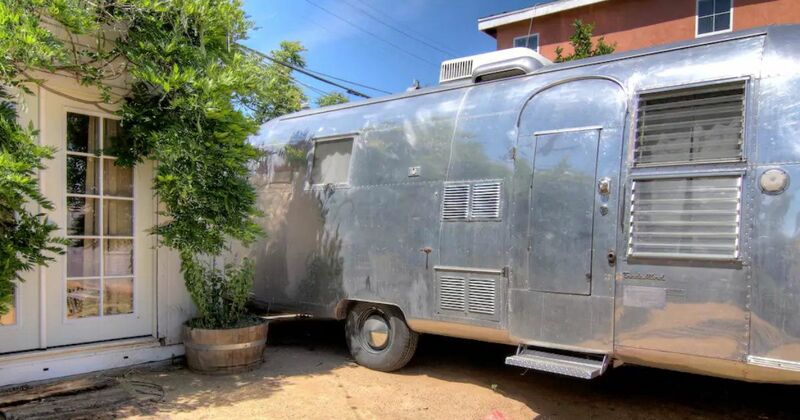 Don't forget to share this gorgeous Airstream with your friends on Facebook, Pinterest and Twitter!